No. Bad Autocorrect. Don't Do That. No. Bad Autocorrect. Don’t Do That. FDA-developers. No, I meant XDA-Developers. Blame autocorrect. Undoubtedly, all of us have a love-hate relationship with our phone’s autocorrect and suggestions engine. At times, it saves us from embarrassing typos, but other times, it smothers us with its over-the-top suggestions–especially for proper nouns and uncommon words. Like FDA XDA. Disabling autocorrect won’t work, because it does do a lot of good after all and without it, we’ll end up typing nnosense txet. So what can be done? Well, XDA Senior Member theknut saves the day with his Suggestions Toggle Xposed Module which allows you to quickly toggle autocorrect by double tapping the text field that you’re typing in. Yes, its that simple. Head over to the module thread to get started. 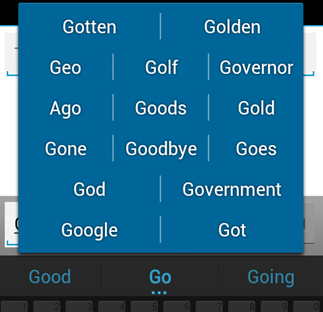 The module works on both Swiftkey and Google Keyboard, and the only requirement is that you have Xposed Framework installed.